Designed for perfect compatibility, the Single Fit Label is crafted to fit your device and offer everyday pocket-friendly protection. It has raised edges around the screen to protect against scratches and blemishes. Enjoy the protection of a flexible and light TPU layer while looking sleek and modern. The case is perfect, very protective and fit perfectly. So far, it's been everything as described by the manufacturer. The way it breaks falls and protects my phone is amazing. Had a couple of falls this week because I had a lot going on but thanks to this chrome case, my phone is intact. The only time I don't use a VRS case is when I need to use another case for a specific reason, like extensions needing another case (think lenses). 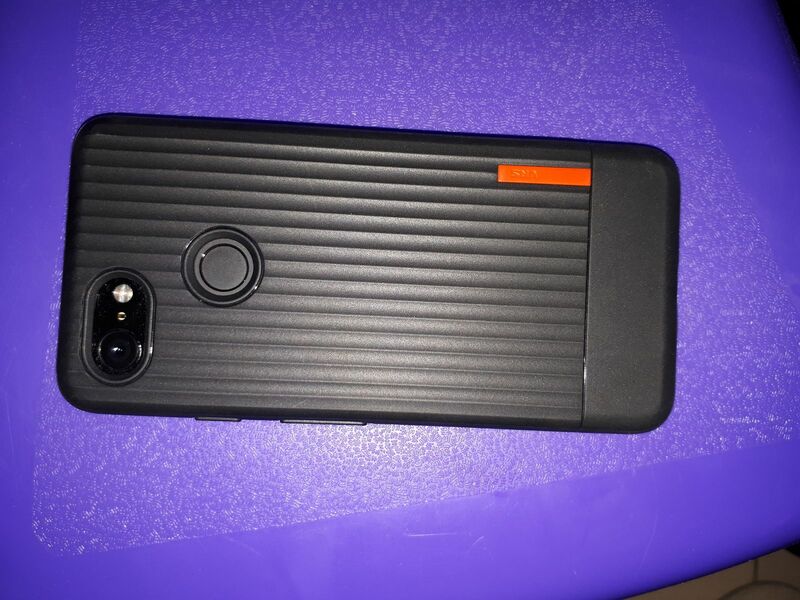 I love this case and the look it gives to the Pixel 3. The main reason for buying this case because I saw the anti yellowing on the material, I hope this feature would last. As for the cut outs they are perfect, I can safely disregard the photos and review I saw on Amazon. However the case isn't perfect, the button, it doesn't provide a tactile response, and the lip around the front is very minimal. Slap a tempered glass, there is no front protect.